British Columbia is not short on beautiful places to stop for a great photo- or twenty. 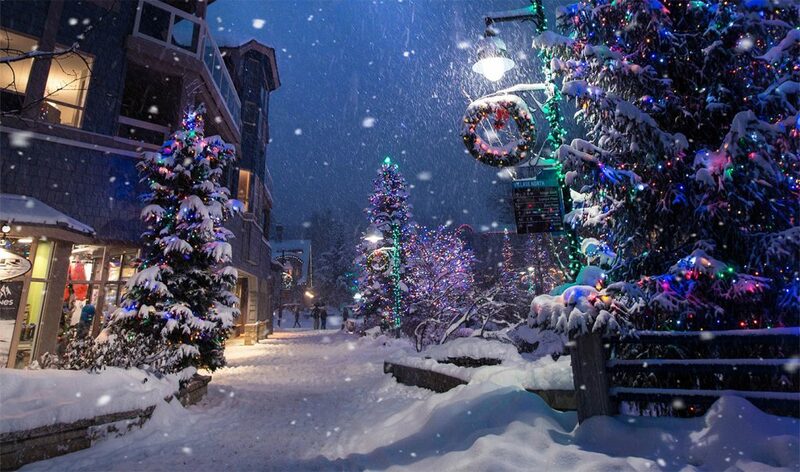 However, if you’re looking to boost your Instagram or Facebook likes, take a trip over to Whistler. There you will find some of the most incredible views and iconic landmarks, and in between those tiresome photo shoots you can cruise through the infamous Olympic town and try some of the most incredible beers, cocktails or meals the Great White North has to offer. Below we have made a list of our top 7 most instagrammable spots in Whistler- and believe us, you’ll want to try and hit them all. 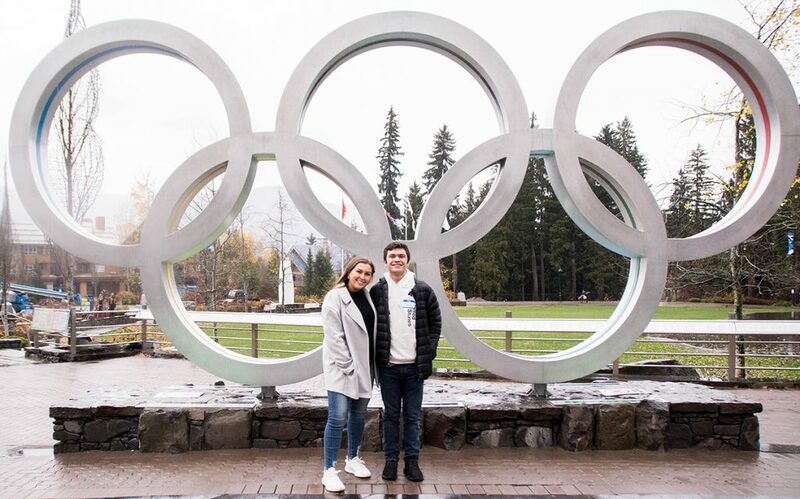 Located just beside the main Plaza, these iconic rings represent the 2010 Medal Ceremony of the Whistler Winter Olympics. Not only are these an awesome photo op, but also an incredible opportunity to see where a piece of Olympic history took place. Extra points for creative posing techniques in front of the rings. 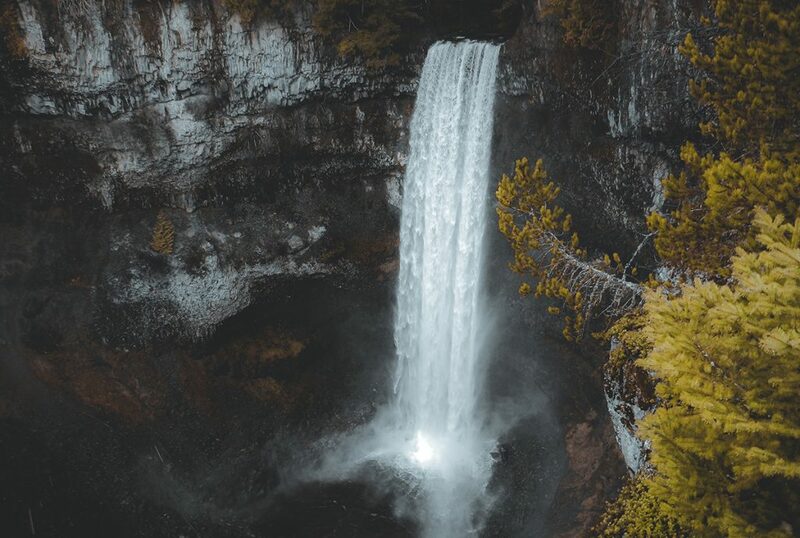 Rising 70 meters above the ground, this impressive waterfall is the perfect example of the beauty of nature. Make sure to swing by the falls for a fantastic Instagram shot that may even make the profile picture cut. The falls are accessible through several different options including cycling and hiking trails, with mountains and lakes all throughout the surrounding areas that will have you stopping for extra photo shoots. Running from November until April, this gondola links Whislter and Blackcomb Mountains, allowing visitors to soak up the grandeur of the lakes, glaciers and forests below, while snapping a few great pictures for the ‘gram. For a birds eye view, make sure you select a gondola with a glass bottom- the effect is mind blowing. 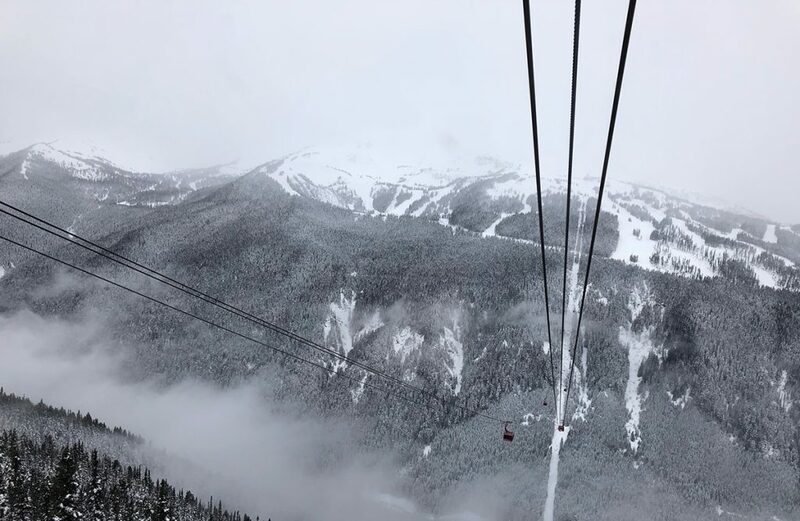 Tickets can be booked online in advance or at the Whistler Visitors Centre on the day, while Skiers and boarders can use the gondolas with their lift passes. Disclaimer: if you have a fear of heights maybe avoid this one and grab an apres in the village instead. This specific suggestion is a little more general, because all of the sights along the Ziptrek Tour will have you reeling. 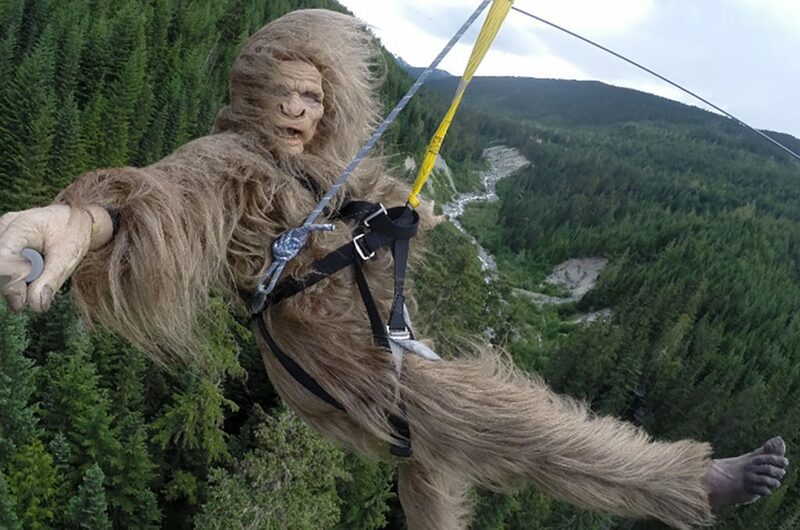 Choose from tours that take you along 5 or 10 lines, or check out the longest zipline in North America for an adrenaline rush that will keep you buzzing for hours. Oh, and not to mention a stockpile of photos that will keep the ‘likes’ coming for weeks. 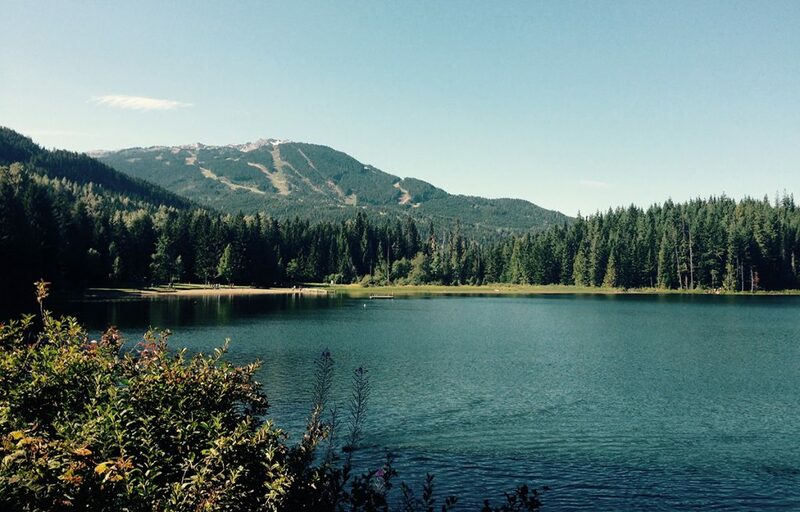 If you’re visiting Whistler in the summer months, or if you are lucky enough to live there, Lost Lake is a haven for warm weather sports, or simply a great place to spend the day relaxing. As it is the closest lake to the village, it is a favorite of locals, and whether it be swimming, fishing or sunbathing on one of the floating docks throughout the lake, people love visiting this secluded spot. Bring along a picnic and your go pro (or anything that can snap a decent photo), because there is no limit to the instagrammable and picturesque spots at Lost Lake. We understand that not everyone is an avid hiker or outdoorsman, but hear us out on this one. In a place like Whistler, any time outdoors is time well spent. 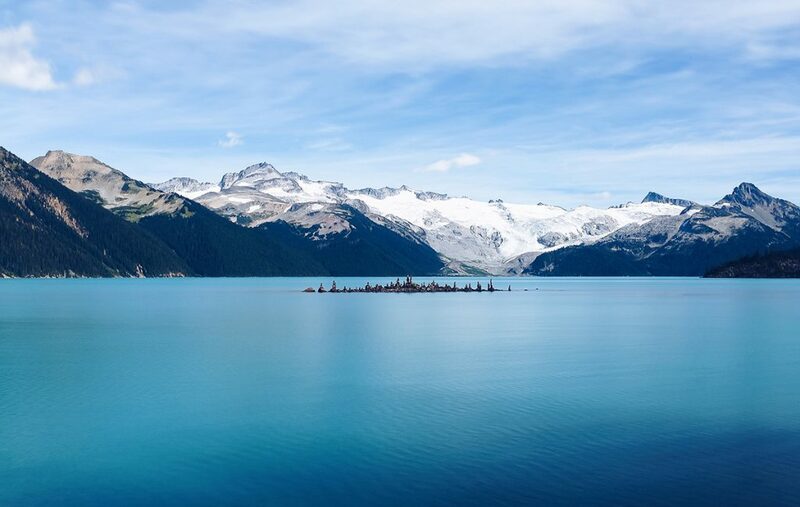 Garibaldi Lake, noted as one of the most scenic areas in Whistler, is a bit of a trek from the main village, but we can assure you it is worth it. The 5 mile hike is classified as intermediate, and the terrain through Garibaldi Provincial Park is mild for hikers but absolutely breathtaking. Once you arrive at the lake itself, turquoise colored waters and lush greenery greet you, while a mammoth glacier towers over one side of the lakeshore. Grab your fill of photos before heading back, and, As an added bonus, you’ll be guilt free about all those craft beers or cocktails calling your name once you return to the village. Besides, a photo of or beside a stunning Canadian lakeshore is a staple of popular Instagram accounts worldwide. Check out the website above for park opening times, trail maps and guidelines. Originally used as commemoratives and landmarks by the Inuit people, these statues can now be found dotted throughout Whistler Village and Whistler Mountain. As you approach the village, an Inukshuk built for the winter Olympics welcome visitors as they enter. Nighttime photos of this particular statue are the best, due to the multicolored lighting effects under the monument. 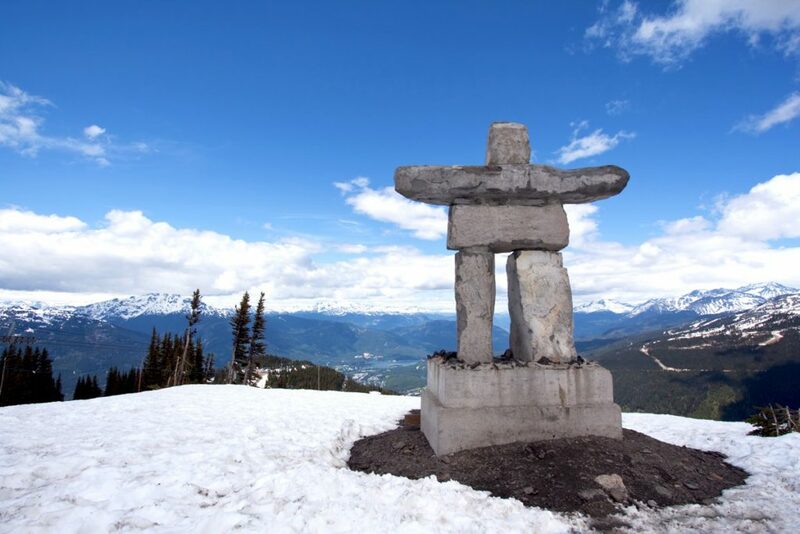 For a different vantage point of an Inukshuk, take the Gondola from Whistler Village to the Roundhouse on Whistler Mountain, where another statue stands sentinel over the valley. A photo up there gives the appearance of standing at the edge of everything, and will surely boost your photo credibility, as well as your appreciation for the awe-inspiring power of nature. In a world governed by social media and technology, it is a treat to step out of your comfort zone or tightly set schedule and explore the land around you. While you are visiting our suggestions of most instagrammable places in Whistler, make sure to put your phones, go pros or cameras down and immerse yourself in the spectacular scenery around you. Remember, a photo is worth a thousand words, but being able to live in the present is priceless.